" I have used the sleepweaver advanced and was not that happy with it. The sleepweaver elan works so much better and I am happy with it. " 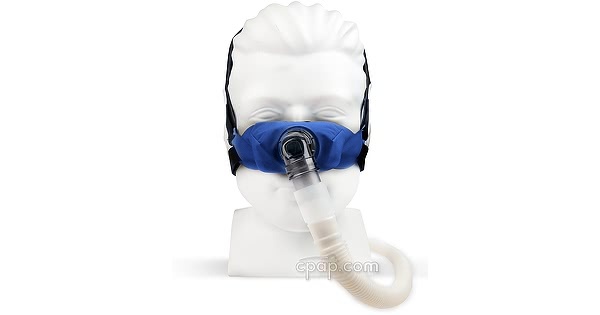 " This nasal mask is quiet and comfortable. I have even less problems and my dear wife has had ....drumroll please...UN-INTERUPTED SLEEP....since I got it. " Come over to the Soft side of sleep therapy! Why wear a hard plastic, sticky silicone mask when a soft, breathable, lightweight cloth mask is available? Circadiance, maker of the only cloth mask on the market, offers the next innovation in cloth masks: SleepWeaver Elan. 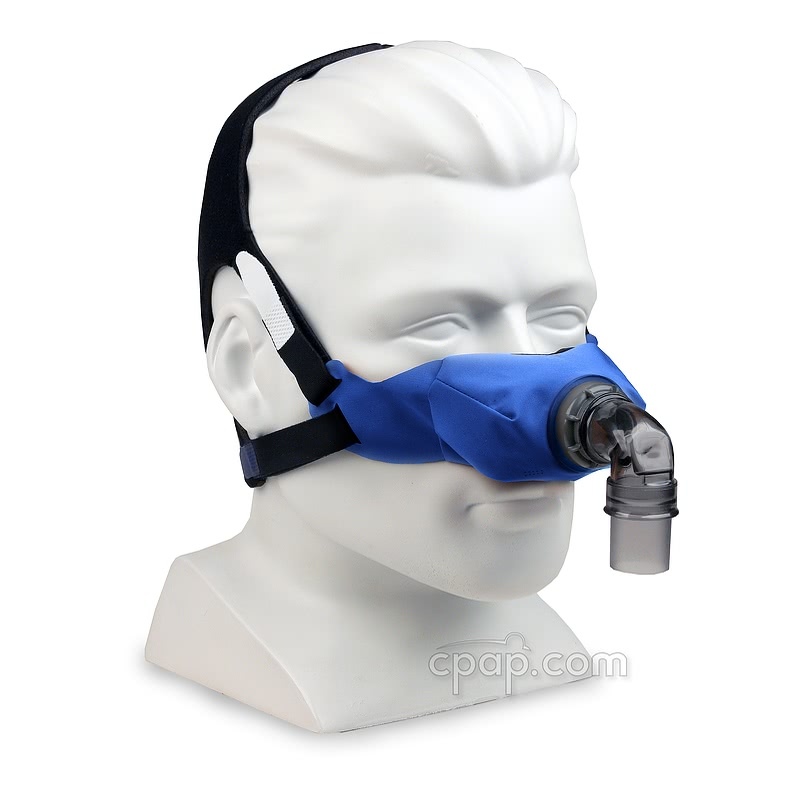 SleepWeaver Elan combines the proven cloth mask technology of the SleepWeaver Advance Nasal CPAP Mask with a new cushion design that improves seal, increases visibility, and provides sleep position flexibility with a rotating elbow. The SleepWeaver Elan starter kit includes small, regular, and large cushions to ensure the best possible fit. 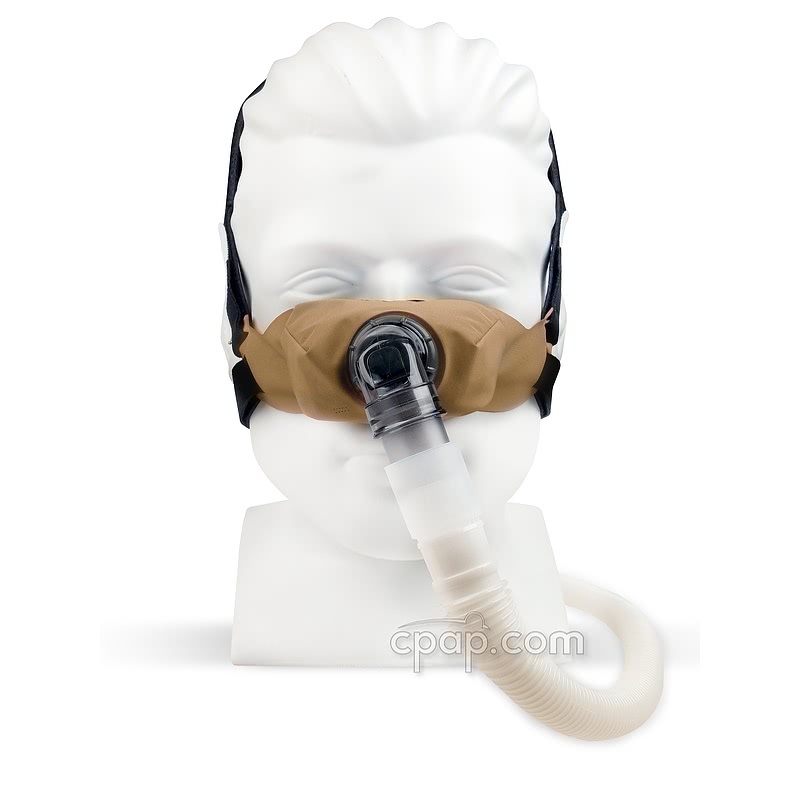 In addition to the mask with three cushions, this bundle also includes the SleepWeaver Feather Weight Tube and Tether Strap extending the option of securing the tube to the headgear. Circadiance believes in the SleepWeaver Elan and offers a 30 day money back guarantee. 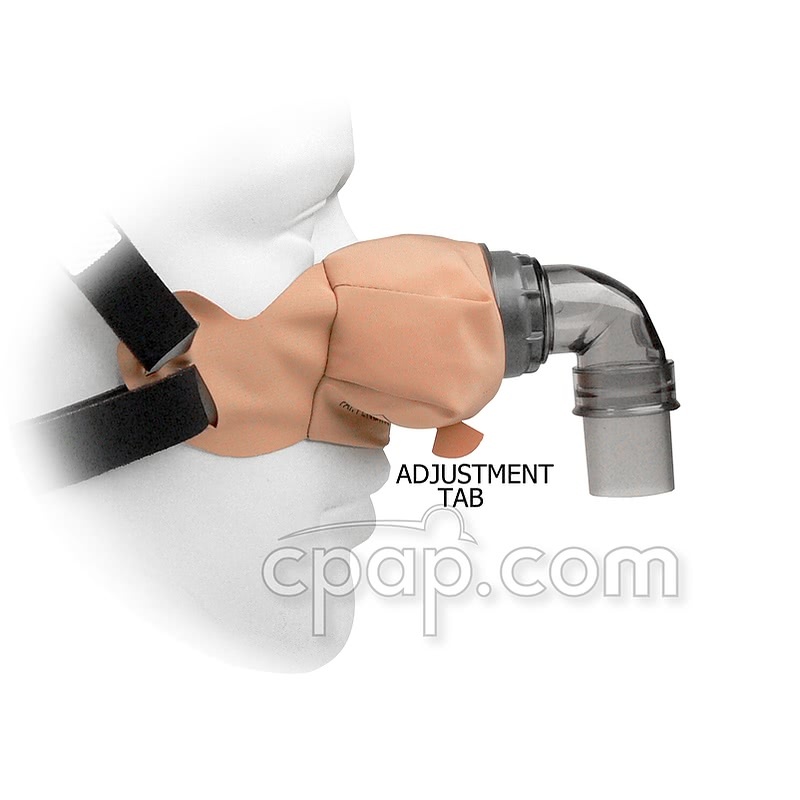 If not satisfied with the Elan starter kit, contact CPAP.com for return information. Watch the Video to see how the Elan works. Circadiance, known for its innovative designs, is the Cloth Mask Company. SleepWeaver Elan offers a reliable seal in a soft, lightweight, breathable material designed to pull moisture and heat away from the skin. 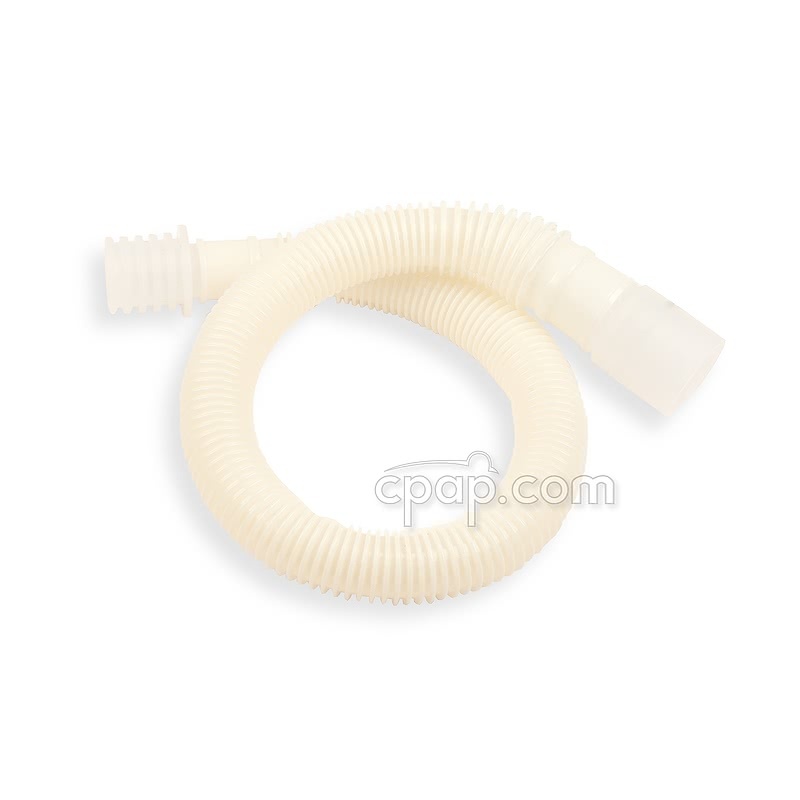 The soft material of SleepWeaver Elan sets it apart in the world of rigid CPAP masks. A cloth cushion eliminates pressure points and vastly reduces the chances of morning red marks. 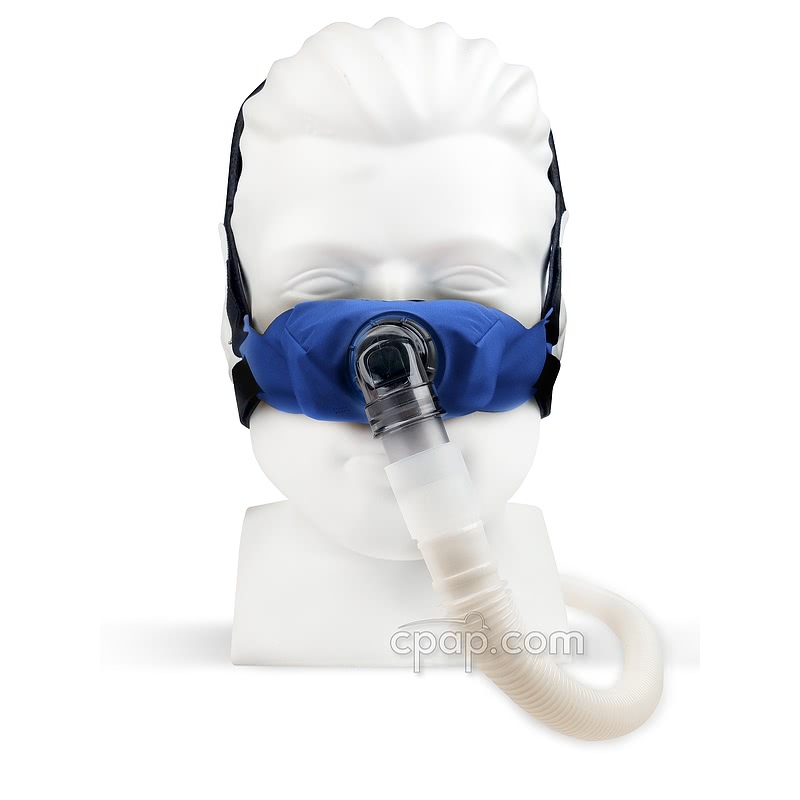 As the cushion of the SleepWeaver Elan inflates with the flow of CPAP air it "balloons" against the face to create a seal. A gentle bubble of cushion omits jaw and face pressure sometimes associated with hard plastic mask frames. The cloth masks from Circadiance are great for those who experience irritation and sores from more traditional masks as the lightweight Elan cloth mask seals around the nostrils with much less weight and force, making them much more skin friendly. Made of an extremely durable fabric, the cushion of the Elan is designed to 'breathe' to reduce trapped heat or moisture against the skin. When putting on the Elan, the cushion size label should be on the bottom of the mask. Fit the inflated mask using the adjustment tab at the center bottom of the cushion. Adjust the position of the mask to get the best seal. The Elan starter kit comes packaged with 3 cushion sizes: small, regular, and large. Try all sizes to ensure the best fit. To change the cushion, simply remove the swivel elbow and regular cushion. Tips on changing out the cushion can be found on the "Important Tips" tab. 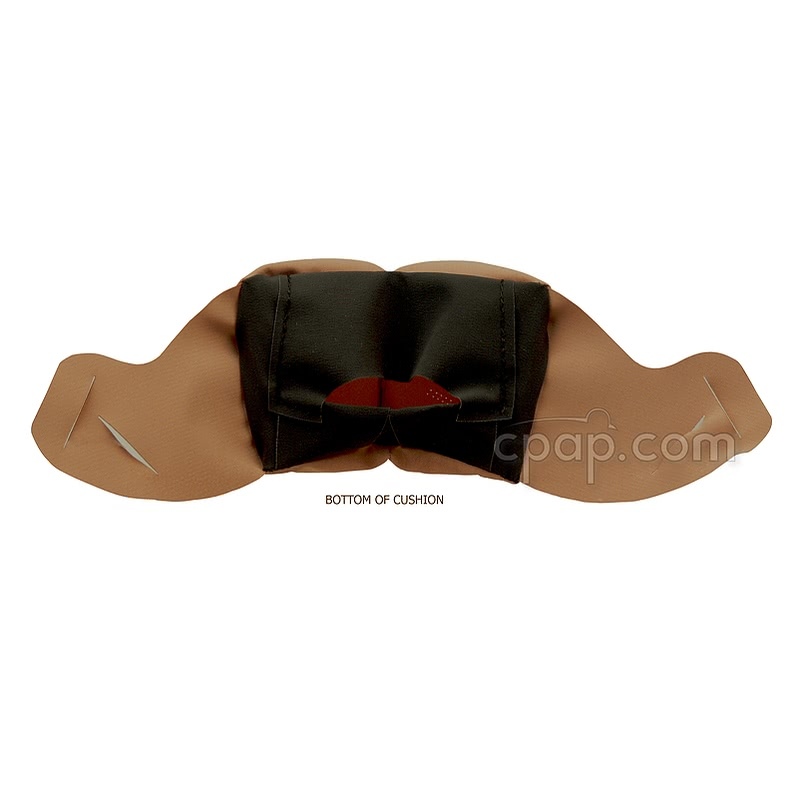 The Elan cushion can be replaced to extend the life of the mask. The SleepWeaver Elan replacement cushion is available in all the popular SleepWeaver colors: beige; blue; beige, pink; camo and leopard. 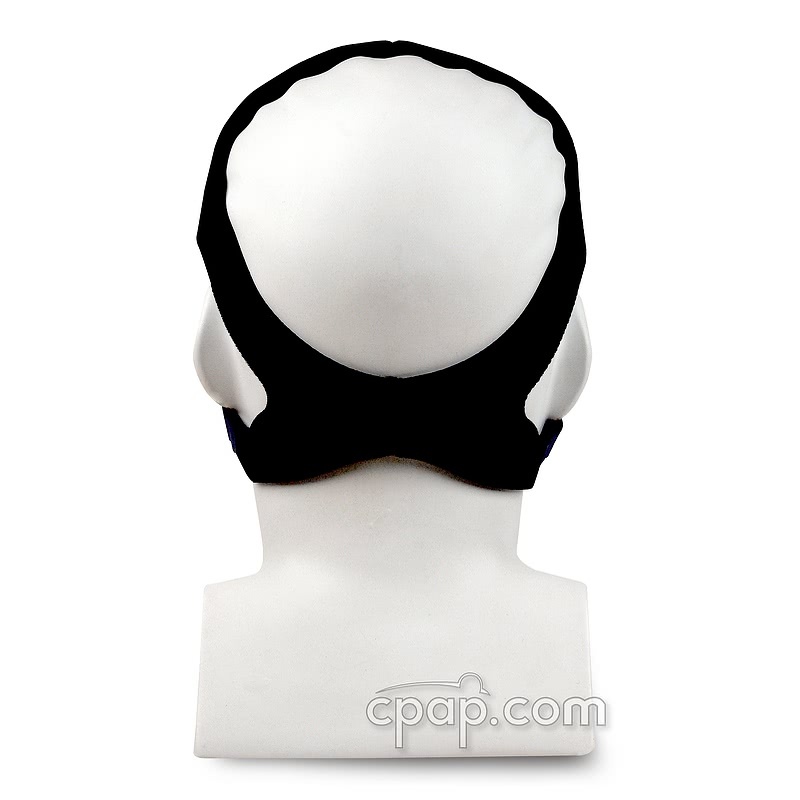 The Elan headgear is designed to support and stabilize the seal without the use of a forehead support or strap. Reading or watching TV while readying for sleep is comfortable. The minimal design reduces the weight of the mask and limits contact to the face making for a more pleasant sleeping experience. The 360º of elbow rotation provides options for users of the Elan. The hose can be routed down the chest; to either side; or up over the head. 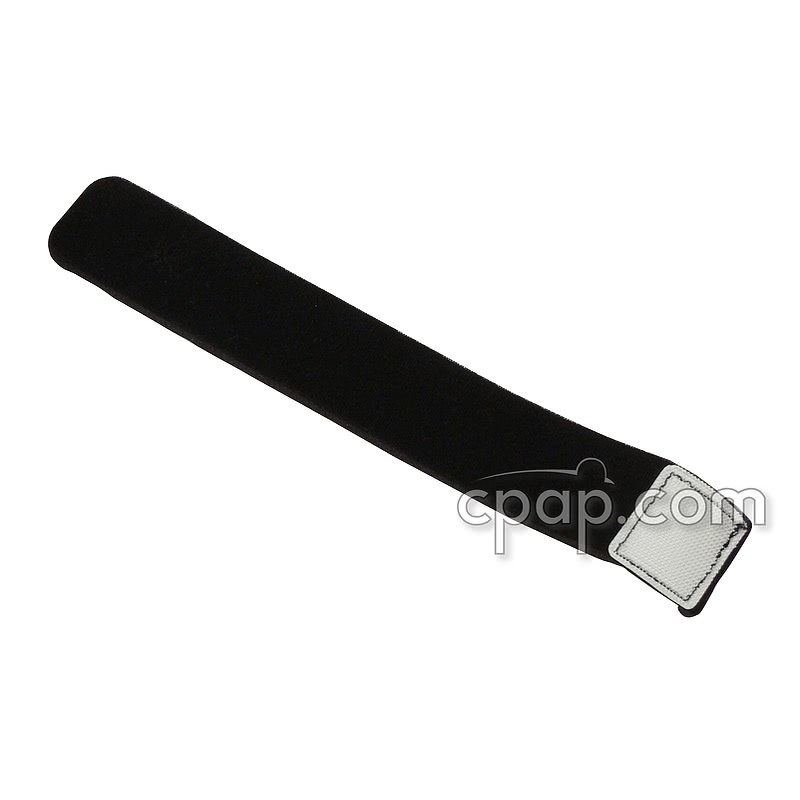 Included in the starter kit is a Headgear Tether Strap which allows for attachment of the Feather Weight Tube to the headgear to maintain an over-the-head passage. 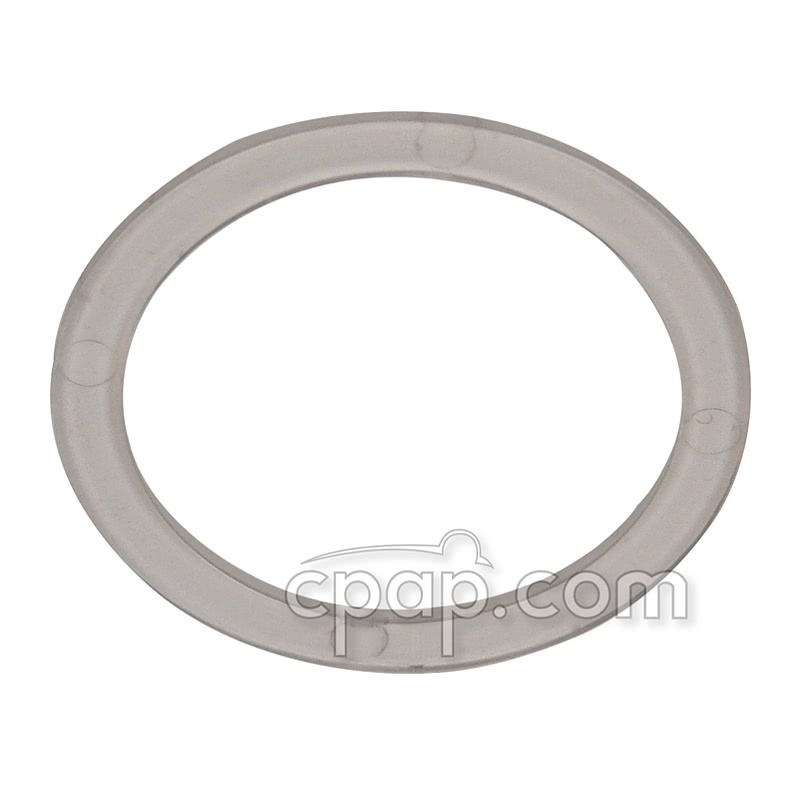 Knowing the importance of 'quiet' when it comes to CPAP masks, Circadiance has designed the exhalation holes to minimize noise. The holes are formatted to avoid jets of air which can disturb both the CPAP user and bed partners. Included in the starter kit, the popular SleepWeaver Feather Weight Tube is 18 inches of highly flexible, lightweight tubing. It reduces drag on the mask and allows freedom of movement while reducing the chances of disrupting the seal. Use the included Headgear Tether Strap to route the tube up over the head. The flexible nature of the SleepWeaver Elan material is ideal for folding into the smallest travel pouch. Weighing a fraction of the common plastic nasal masks, the Elan will not add bulk. Hand wash using warm (not hot) water. Use mild detergent that is not abrasive, anti-bacterial, or high in oil. Do not use baby shampoo to clean SleepWeaver mask products. Do not use a washing machine or dryer to care for the Elan. The SleepWeaver Elan offers three sizes of cushion and all three come packaged in the starter kit. In-house testing shows some users who generally wear a size Medium cushion find the Large cushion fits them best. Follow the fitting instructions included in the instruction booklet. When inflated and in use, expect to see a small amount of black fabric showing at the bridge of the nose. To find the size of the SleepWeaver Elan™ Soft Cloth Nasal CPAP Mask, turn the mask to view the bottom of the cloth mask. With the cushion flaps facing the user, the information can be found by looking to the left of the mask seam. The words "S M A L L," "R E G U L A R," and "L A R G E" will be written out depending on the size of the cushion. By purchasing the starter kit, the user will receive one cushion in each size. The difference will be noted by looking at the bottom of the mask to compare the written sizes. First, we recommend watching the product video found on the "FAQ & Videos" tab of this page. The video takes you through how to properly put the mask on and how to get rid of some common fitting problems. This is a different type of mask. It works by inflating the cushion like a balloon. Leaks generally occur when the cushion does not properly inflate. Leaks around the nose: If you are experiencing leaks around your nose, while wearing the mask, pull the mask out away from the face and slowly bring the cushion back to place on your nose. Then wiggle the mask from side to side. This should reseat the mask correctly around your nose. The video shows this process. Leaks around your eyes: If you are experiencing leaks around the top of the mask by your eyes this usually means the mask is not completely inflated and is pulling down and slightly lifting the top of the mask. This normally happens if you are using a heavier tubing, or starting with a lower pressure, such as using ramp with your machine. 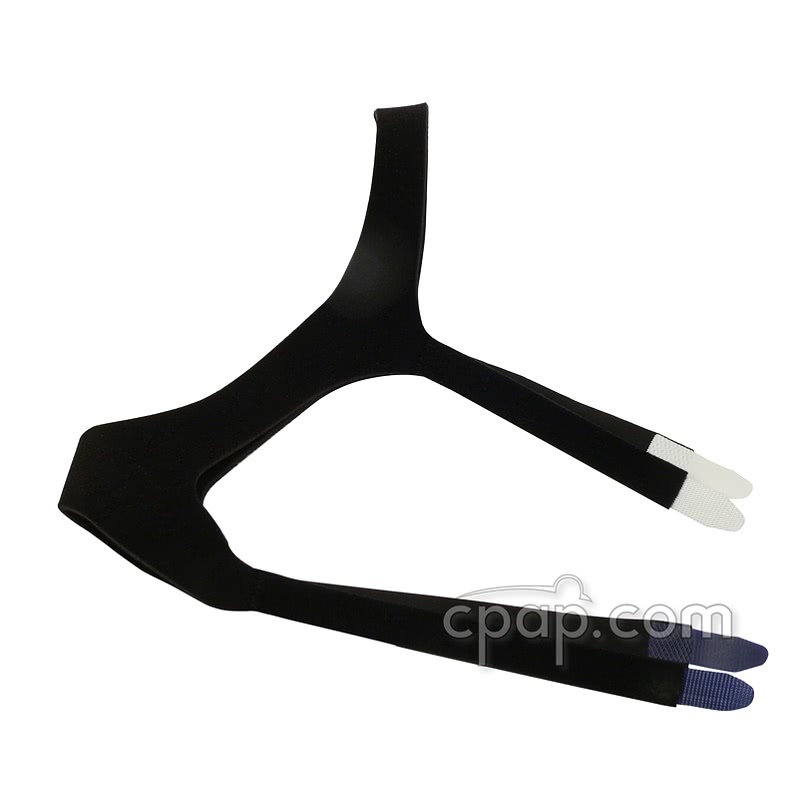 To help with those leaks, we suggest wearing the featherweight tubing in the up position using the tether strap. This will take the excess weight off the bottom of the mask and lifts it up, reducing the pull at the top of the mask which can cause leaks around the eyes. 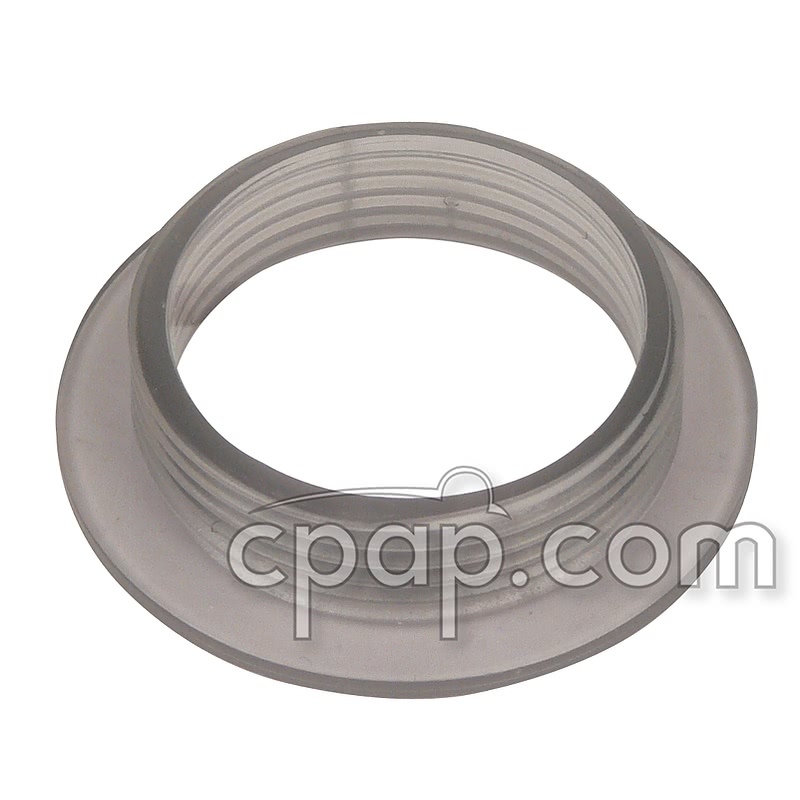 Leaks from the elbow connection: If you are experiencing leaks around the elbow connection take the mask off and re-tighten the washer. If you continue to hear air leaking, remove the swivel elbow from the cushion and reassemble the cushion to the elbow. Make sure the fabric is centered on the threaded connector as you place the wash and elbow in place. There should be no fabric edges showing. The fitting video shows easy steps to assemble the cushion to the swivel elbow. When putting on the mask the printed size of the cushion should be on the bottom of the mask. 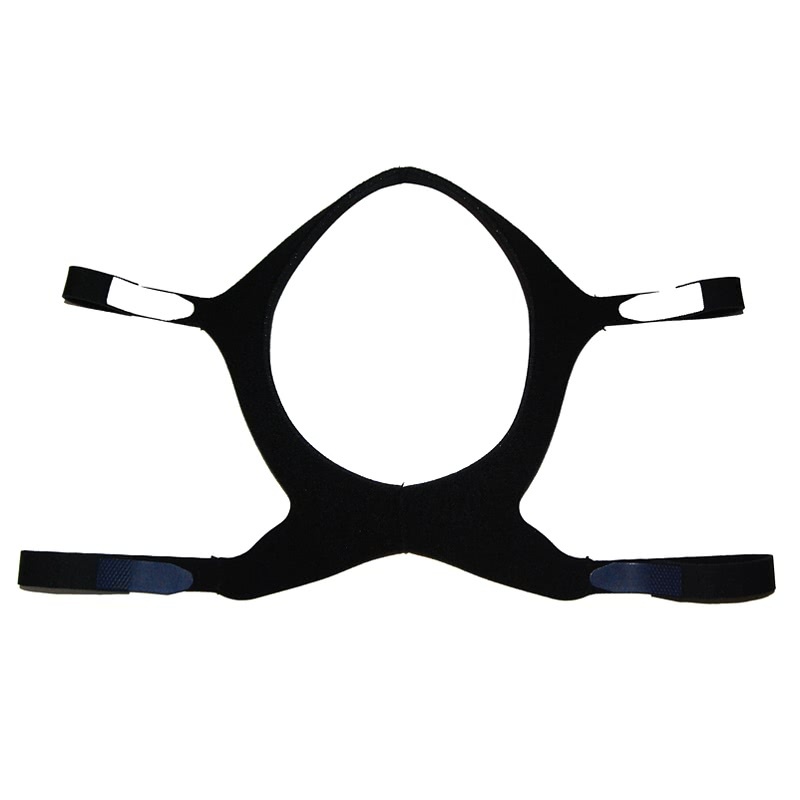 When worn correctly the adjustment tab is also at the bottom center of the mask right about the upper lip. When looking at the mask from the direction the nose enters the mask, the stretch adjustment is worn on the bottom. There is a product image on the side of this page that shows the cushion from the side the nose enters to show which way is up and down. Circadiance recommends using a mild, non-abrasive, low oil detergent that is not anti-bacterial to wash the SleepWeaver masks and headgear. Liquid Tide is one example of a mild, non-abrasive detergent product. However there are many other appropriate products available for use. Circadiance does not recommend using any oil based soap or detergents. This includes a recommendation AGAINST using baby shampoo and hand soap which contain a high level of oil. See the Specs Tab of this product page for a complete list of manufacturer approved cleaning methods. Hand wash the Elan and headgear using warm (never hot) water and a mild, non-abrasive, low oil, non-antibacterial soap. Remove the elbow and rings before washing. After washing and rinsing, allow the mask to air dry, laying flat. Do not place the mask in the clothes dryer. The manufacturer suggests washing the Elan daily and the headgear once a week. 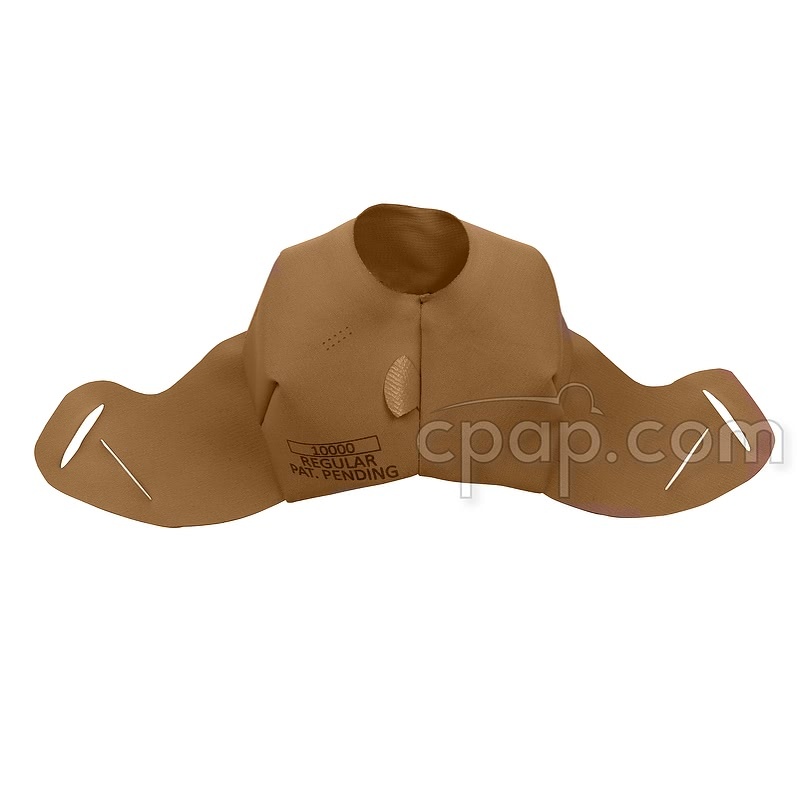 The headgear has four headgear tabs which attach to the wings on the sides of the Elan cushion. The headgear tabs are color coded for easy assembly. The two white tabs attach to the top slots which are parallel to the ends of the wing. The blue tabs pass through the wing slots that are angled on the wing. The SleepWeaver Elan is approved for use with pressures up to 20cm H2O. In house testing shows when using the Elan at a lower pressure of 4 or 5, a better seal is achieved and maintained if the hose is worn in the over-the-head position with the use of the included tether strap to secure the Feather Weight Tube. If the ramp feature starting at a pressure of 4 or 5 is used for the machine, it is recommended to wear the Elan with the hose in the upright position to maintain a better seal at the start of therapy. 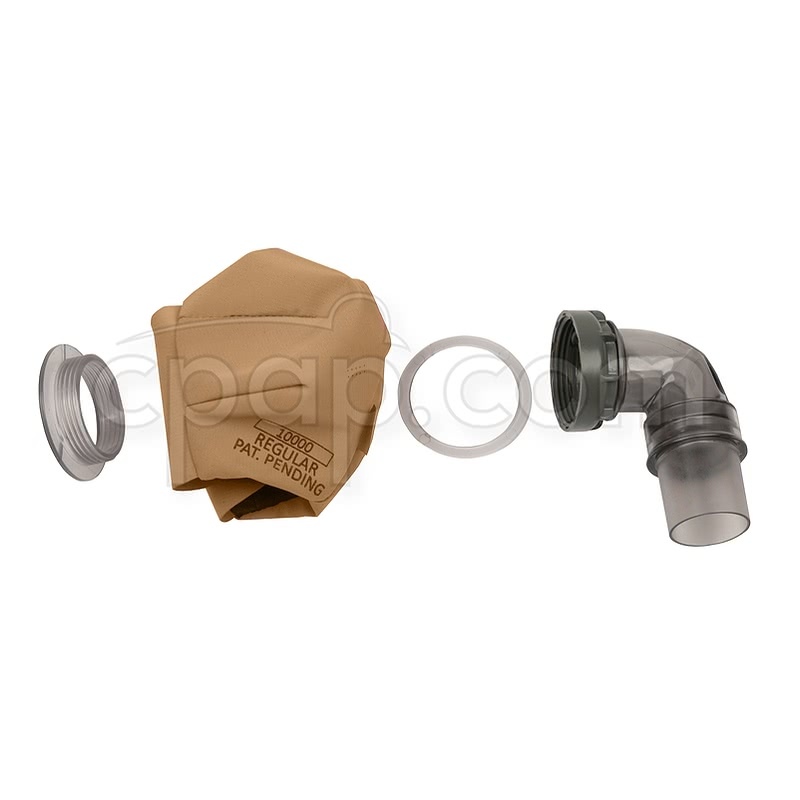 SnuggleCover for Short Tubes: The SnuggleHose Cover for Short Mask Tubes will fit the Feather Weight Tube included with the SleepWeaver Elan Starter Kit.